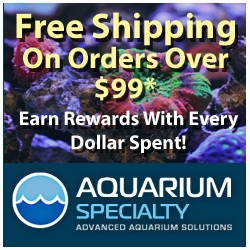 No sooner than we wrap up our coverage of all of ORA’s 2014 captive bred fish and aquacultured frags, the famed fish breeders announce one more entry for the year. Yesterday, they revealed tha they had bred the Hector’s Goby (Koumansetta hectori), a nifty little fish that is as strikingly beautiful as it is peaceful. This tiny fish measures just 2″ long at its maximum size, and it spends a majority of the day hovering hear the rocks while grazing on various types of algae. Thought to be the first time this fish has ever been captive-bred, ORA had some difficulty getting this fish to market, so to speak. This was due in part to the fish’s extremely tiny size, unreliable spawning amongst broodstock individuals, relatively long larval stages, and overall fragile larvae. 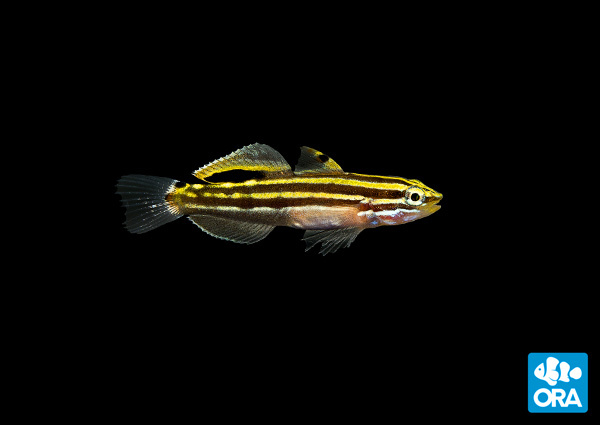 Thankfully, ORA’s experience with the Priolepis genus translated flawlessly to the Hector’s Goby and they were eventually able to overcome those barriers.